The Battle of Columbus, Georgia, was the last conflict in the Union campaign through Alabama and Georgia, known as Wilson's Raid, in the final phase of the American Civil War. Maj. Gen. James H. Wilson had been ordered to destroy the city of Columbus as a major Confederate manufacturing center. Reservations are required. 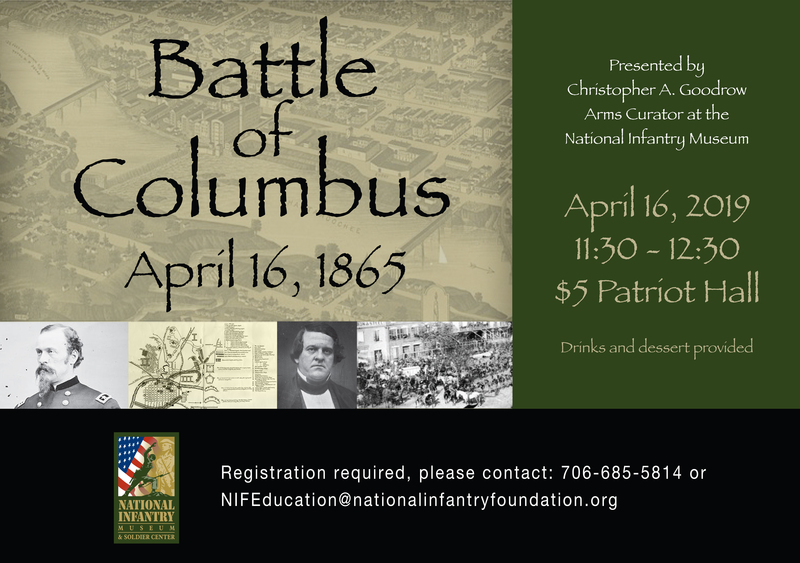 Please contact NIFEducation@nationalinfantryfoundation.org or 706-685-5814.